Looking for a high performance blender that can easily make delicious, high quality smoothies, soups, nut butters and more? Here's a top alternative that offers high performance at a fraction of the price of its competitors. 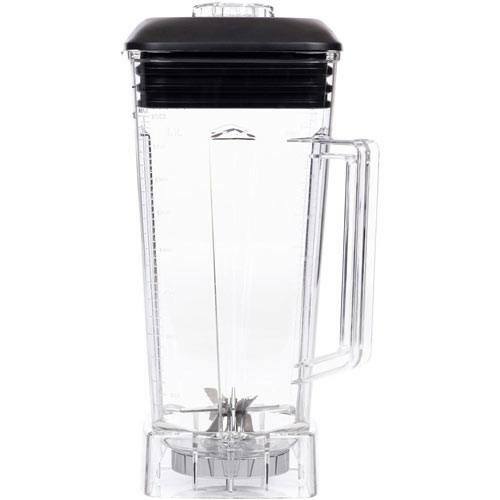 Versatile blender with exceptional value. If you're serious about eating healthy and consuming more vegetables and fruit, a high performance blender gives you the opportunity to enjoy natural smoothies that have perfect texture and an endless variety of ingredients tailored to your taste. Experts and amateur kitchen enthusiasts alike agree that a Vitamix is one of the best blenders going - it is easy to use, durable and powerful. It could probably pulverize your cell phone! However, a Vitamix will run you upwards of $400, and many would believe that’s just too much cash to drop on a blender. At less than half the price it offers similar features and performance. The Cleanblend can obliterate just about anything edible, and boasts excellent versatility, user friendliness and warranty. Is the Cleanblend really a commercial-grade blender? Is the Cleanblend a good fit for you? Due to its high speed motor, it can actually heat up your ingredients to make a soup - all you need to do is toss your soup liquid and veggies into the blender jar and let it blend for about 3 minutes on high speed - and you’ve got yourself a hot soup. However, the Cleanblend is also well-suited for recipes requiring a gentler touch such as salsas and guacamole. Boasting a 1800-watt motor, the Cleanblend is capable of handling even the toughest ingredients with ease. This includes anything from ice to beet, carrots and hummus (chickpeas). 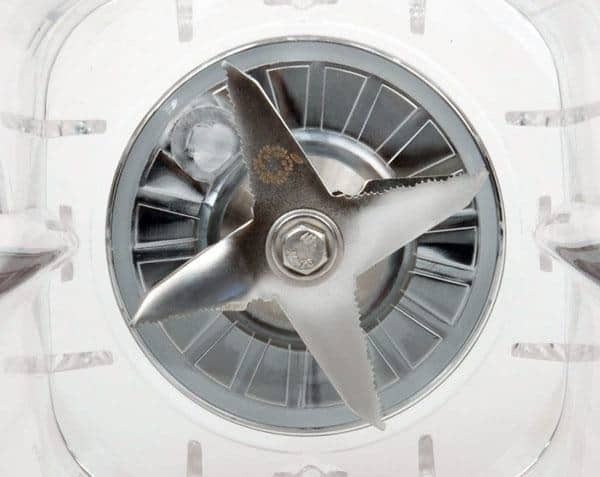 The stainless 6-blade system with an enclosed metal drive is sturdy, formidable and relatively easy to clean. Simple and to the point, this machine features a rotary power knob and pulse button. Its controls are very similar to the Vitamix 5200. Manual controls keep things simple, but also give users a lot of flexibility in terms of a wide range of speed settings, and a pulse control that lends the perfect chop for a light, creamy consistency. 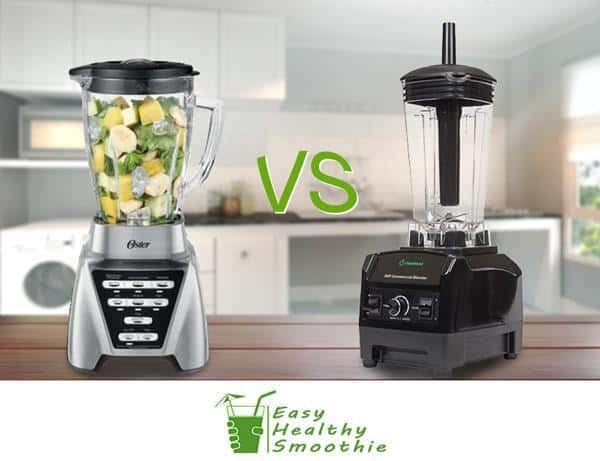 Users advise turning the power all the way back down to low before turning the blender off, as having the motor immediately at high speed can bring quite the shock next time you turn it on! The Cleanblend’s durable, BPA-free 64-ounce jar is virtually unbreakable, easy to clean and can process as much food as your heart and stomach desire all in one go! The Cleanblend is relatively simple and to the point so doesn’t feature a lot of fancy attachments. It does include a tamper (plunger) to push ingredients down the blade mid-cycle, breaking up air pockets and keeping smoothies lump-free. The Cleanblend is good-sized, measuring at 14 x 17 x 12 inches. Some users report that the tall, oversize jar makes it difficult to fit in kitchen cabinets or under counters. Frankly, that depends on who you ask! Some restauranteers report that their bartenders use the Cleanblend all day every day with no problem, suggesting that it is indeed commercial-grade. However, other users suggest that it’s better-suited for personal use. I’m going to go with a happy medium, and say that it’s more formidable than most mid-range blenders, but it’s yet to be proven whether the machine can stand up to the punishing demands of a commercial kitchen. 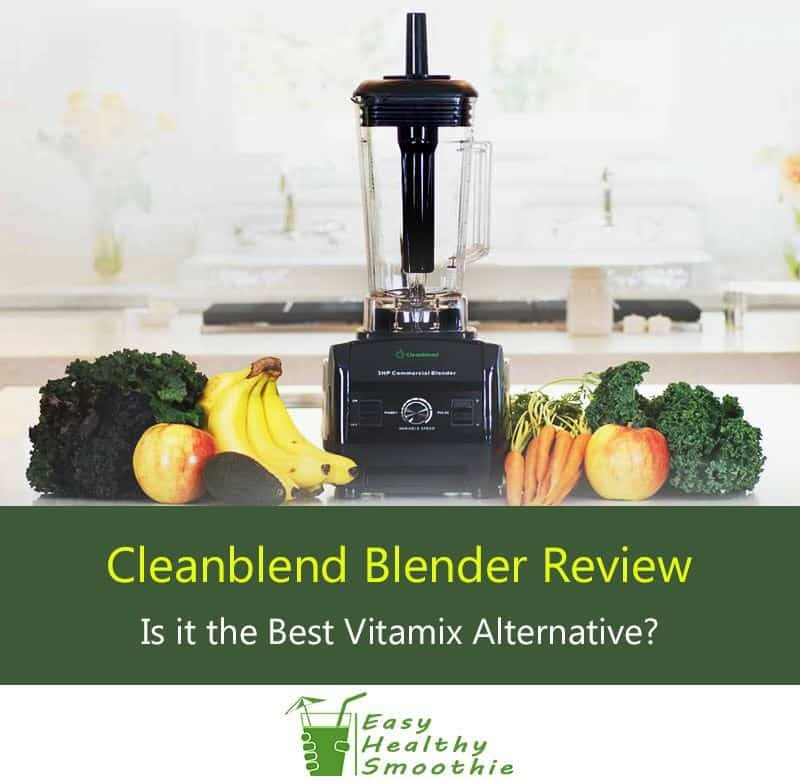 The Cleanblend is a great fit for the serious home user who plans to use it frequently and/or requires a high-power blender for tougher ingredients such as ice or nuts. Bottom line is that it gets the job done well, for a fraction of the price. Users who don’t require a high-power blender for frequent use may want to consider a cheaper, lower-power alternative. Thanks to its simple design, use of the Cleanblend is very straightforward. Manual controls allow the user more flexibility, but also mean that hands-free blending is not an option as there are no presettings. Cleaning is a snap. The manufacturer recommends putting a few drops of dish soap into warm water, running the Cleanblend on the low setting for a few seconds, and rinsing. Some users report that the jar is dishwasher safe, but to err on the side of caution I recommend sticking to the manufacturer’s instructions! The Cleanblend isn’t exactly quiet, and you’d find some online user reviews complaining about its noisiness. However take this with a grain of salt, as those more experienced in the world of blending suggest that it’s quieter than the Vitamix and other high-power blenders. A generous 5-year warranty and 30-day money-back guarantee are included with purchase of the Cleanblend. The warranty covers damage during shipping or any manufacturing defects, e.g. a faulty gasket or burnt-out motor. Users report excellent customer service, so you can buy with confidence. The replacement policy is generous, and the company offers free shipping for any repairs or returns. We didn’t have the pleasure of needing to use them ourselves, but user reviews claim customer service representatives are friendly, helpful and expedient. I recommend purchasing online for the best possible price, with big box vendors such as Amazon offering free shipping and the best price point. However, if you feel the need to check it out in person before making a selection, head to your local home goods or electronics store to take a gander - but remember you’d still be able to find a better price online, with the added convenience of online ordering and shipping to your door. 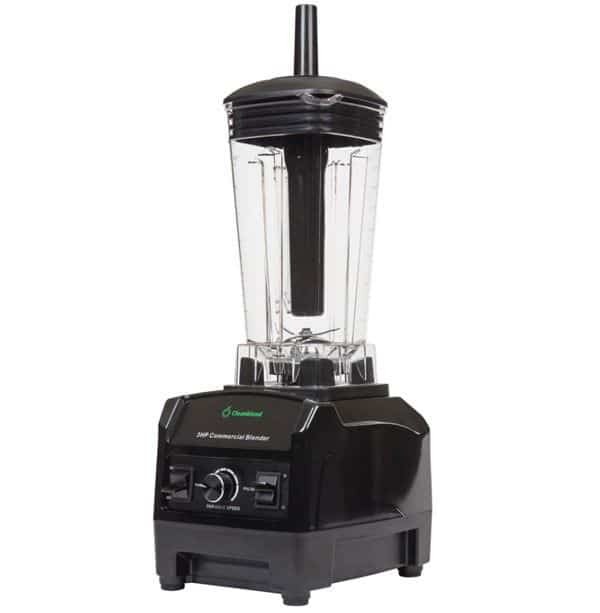 The Cleanblend is very similar to the Vitamix 5200 series in design and technical specs. Vitamix offers more advanced models with hands free pre-programmed settings, which is a major advantage over the Cleanblend. 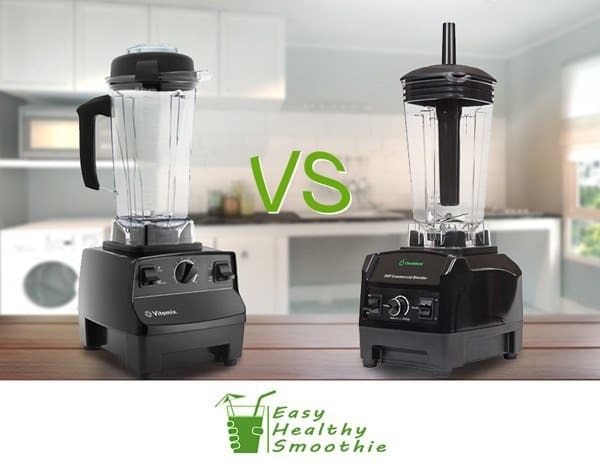 The most obvious difference between the two is price, with the Cleanblend priced at ⅓ to ½ of Vitamix. 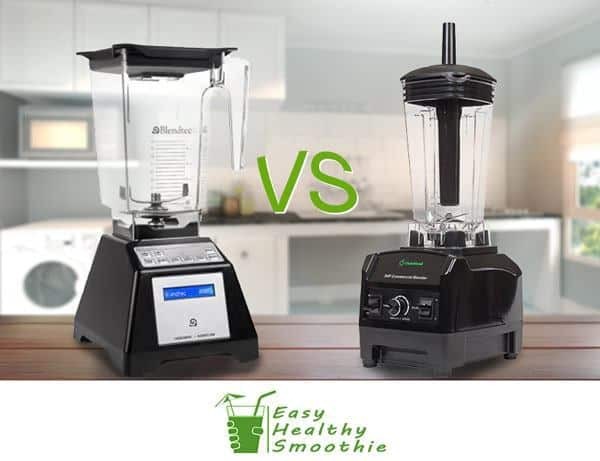 The Cleanblend and Blendtec Total have comparable power levels, but the Blendtec offers more settings, accessories and features. Blendtec is also easier to clean due to its low profile button design, as opposed to the large buttons and knobs of the Cleanblend. The bells and whistles come at a cost, as a new Blendtec might cost more than twice Cleanblend’s modest pricing - click here to check the latest prices. Like the Cleanblend, the Oster Pro 1200 is a straightforward, no-frills blender. At 1200 watts it’s not as powerful as the Cleanblend, but it’s price is less than a third! However, from online reviews it seems the performance and durability are not comparable, so you get what you pay for with the Cleanblend. The Cleanblend is remarkable in that it is high-powered and can handle the toughest ingredients, but comes at a fraction of the price of comparable high performance blenders from other brands. You can expect a simple, easy-to-use and durable machine with a competitive warranty and excellent customer service.